We offer clean humor, joke, satire, for entertainment, enjoyment, smile and laughter, and relief against depression, anxiety, stress, tension, frustration, distress , worry and resentment. Touching the Himalayas and Karakoram mountain range in the north and stretching up to the Arabian sea in the south lies the ISLAMIC REPUBLIC Of PAKISTAN. The word Pakistan comprises of two words, PAK meaning pure and STAN meaning living place or land, together it means Land Of The Pure. It came in to existence on 14th of August 1947 seven years after its creation was proposed through a resolution at the historical city of Lahore on 23rd of March 1940. Pakistan's strategic location at the crossroads of the important regions of South Asia, Central Asia and the Middle East has enhanced its political and economic importance. Qaid-a-Azam Mohammed Ali Jinnah a barrister by profession is the founder of Pakistan. Allama Mohammed Iqbal the great philosopher and poet is its spiritual father being the first to put forward the idea of a Muslim State In the subcontinent. Having a population of more than 180 million with a total area of 796,095 Sq. km, Pakistan has five provinces, namely Punjab, Sindh, Khyber Pakhtun Khuwa, Baluchistan and Gilgit Balitistan. Islamabad is the capital of Pakistan. Major cities include Karachi, the biggest city and economic hub, Lahore the cultural capital and Faisalabad also known as the Textile City. Pakistan is a country of all seasons. Winter (December - February) Spring (March - April), Summer (May - September) and Autumn (October - November). What is now Pakistan was in prehistoric times the Indus Valley civilization (c. 2500–1700 BC). Excavations at Harappa, Moenjodaro have proved an advanced civilization existed even in more ancient times. The remains of Gandhara Civilization were also found at Taxila near the city of Rawalpindi. 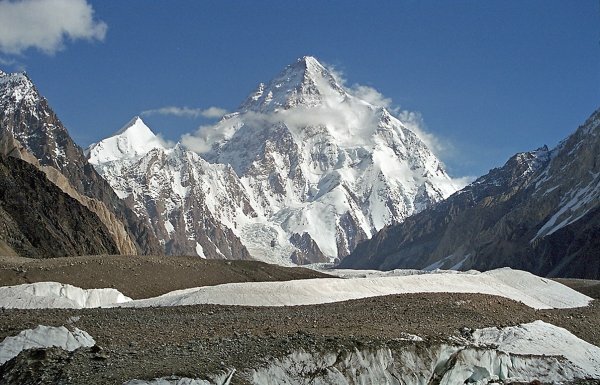 Pakistan has seven of the 16 tallest peaks in Asia including K-2 (8611m) the second highest peak of the world. World's 50 highest mountains are in Pakistan. Pakistan has most glaciers than any other land outside the North and South Pole. Pakistan has a 1,046-kilometre coastline along the Arabian Sea and the Gulf of Oman in the south. While Pakistan is an atomic power, it also has a rich culture getting inspiration from Indus Valley Civilization as well as Islamic traditions and culture, mainly Arabic and Persian. Pakistan has produced writers and poets of international fame like Faiz Ahmed Faiz, Josh Malihabadi, Ahmed Faraz, Mushtaq Ahmed Yousafi and many more. In sports Pakistan enjoyed Top positions in the world in its national sport, Hockey, Cricket and Squash. In Hockey won 8 gold medals in Olympics, four times winning the World Cup. In Cricket Pakistan had been Champion two times winning Cricket World Cup and ICC World Twenty 20 Cup. In Squash Jahangir Khan and Jansher Khan of Pakistan won the World Open Squash Championship several times during their careers Jahangir Khan also won the British Open a record ten times.